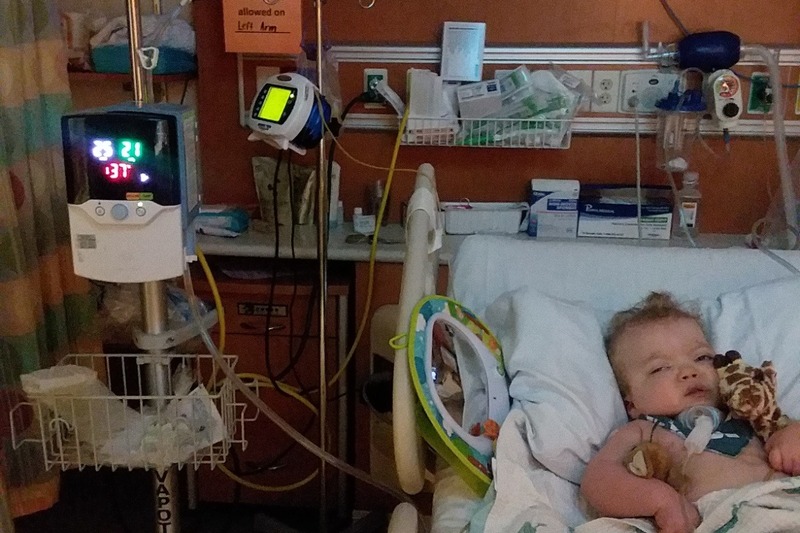 Mason is 3 years old and has battled since birth with TracheoBronchoMalacia which caused 100% collapse of his airway resulting in spending most his first 2 years in the ICU and on a ventilator till he had a 13 hour airway reconstruction at Boston Children's Hospital where he successfully came off the ventilator. About 10-20% of patients require anterior (front) trachea surgery to prevent any collapse 6 months post op. 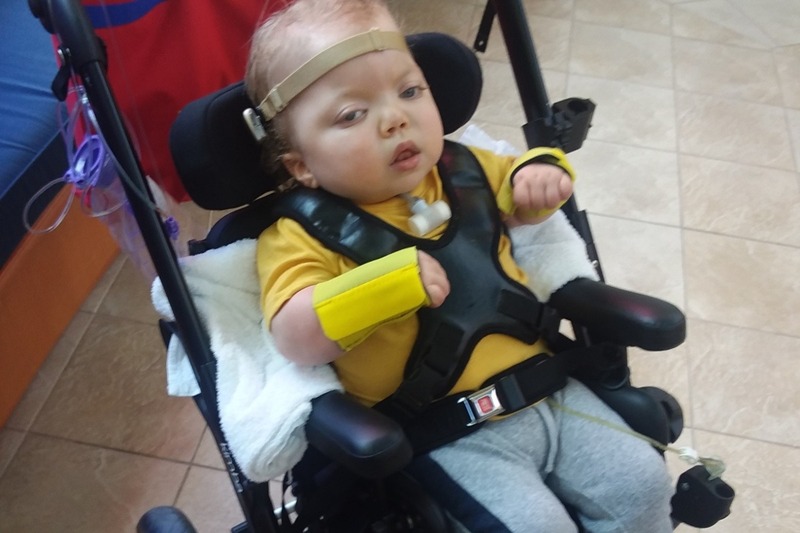 Over the past month Mason's trachea has begun collapsing again and on 9/14 his surgeon discovered the front of his trachea is fully collapsing causing him to stop breathing. On Tuesday, September 18th, Masons airway became collapsed and required our normal protocal of emergency interventions however this time was unresponsive are stabilizing and required 911 services to ensure he was fully stabilized. It became clear to his home team and Boston team his surgery is more critical than initially thought and he is number 1 on the priority and cancellation list for surgery that will hopefully happen in October. 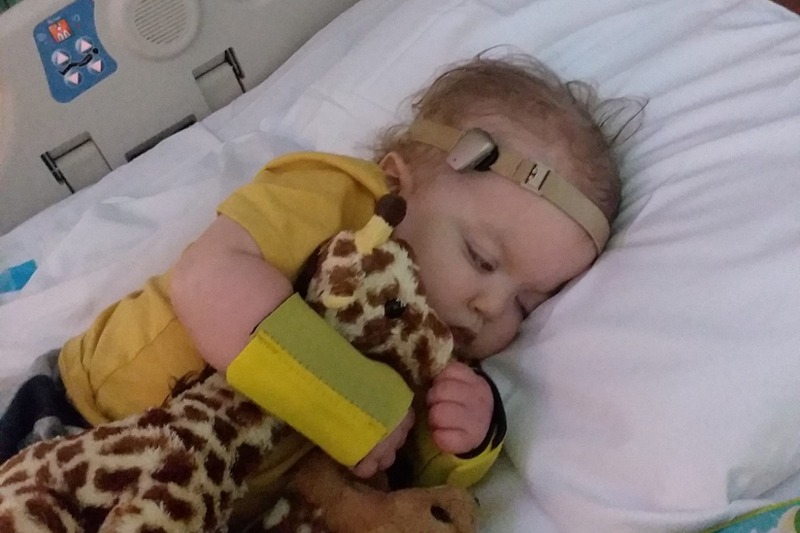 Children from all over the world come to his surgeon at BCH for this very condition every day. It is a very stressful time for our family to travel and remain by his side. This surgery and recovery is expected to be 5-7 days long and shorter in length than his previous operation. The past 3 years of constant medical emergencies, long hospitalizations and several operations have taken a significant toll on our family, emotionally, physically and especially financially. Dad has used all his paid vacation time for the year though has a very supportive compassionate employer and employees who help in every way they can which we are beyond blessed to have. Mom juggles 4 clients through a virtual assistant position though is only 30-40 hours a month while caring fulltime for Mason and his sisters while Charlie works many times 7 days a week. Our family has accepted many sacrifices have had to be made in order to keep up with bills and unexpected hospital trips and doctor appointments, though it is not a life we all hoped for but make the best of it. 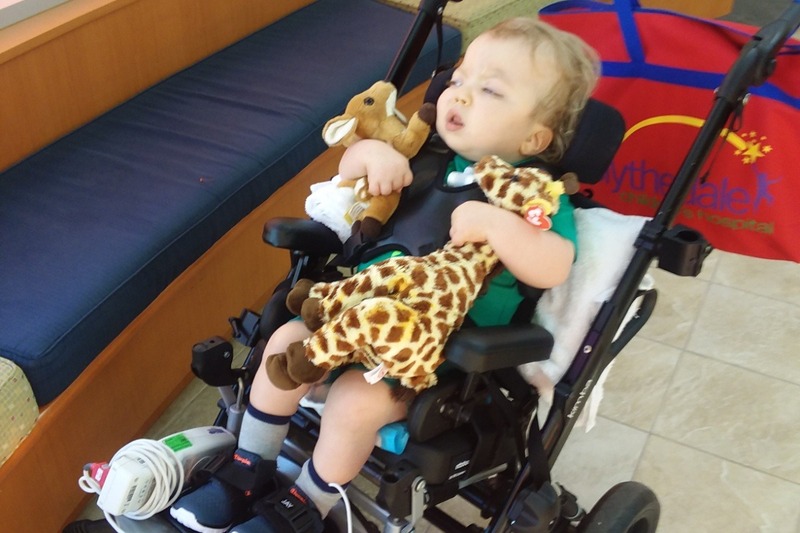 It has been a very long, traumatic road getting Mason the best care available. 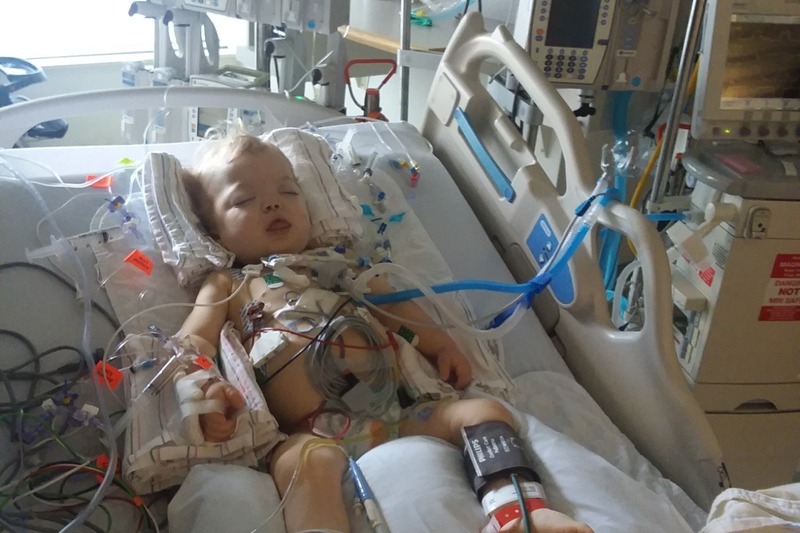 Mason is a fighter, his sisters, Mom and Dad will never stop fighting for him to one day have a functioning airway that will no longer require a trach or traumatic medical interventions to help him breathe. We appreciate all the support Team Mason has given since he was born and hope you can stand strong with us and help off set the additional costs that come with travel for surgeries and appointments, time off work, additional food costs when we can't leave the hospital, and giving his 4 sisters some pleasant fun activities to do as his brother recovers and help them process the scary times. Mason has had an eventful week. 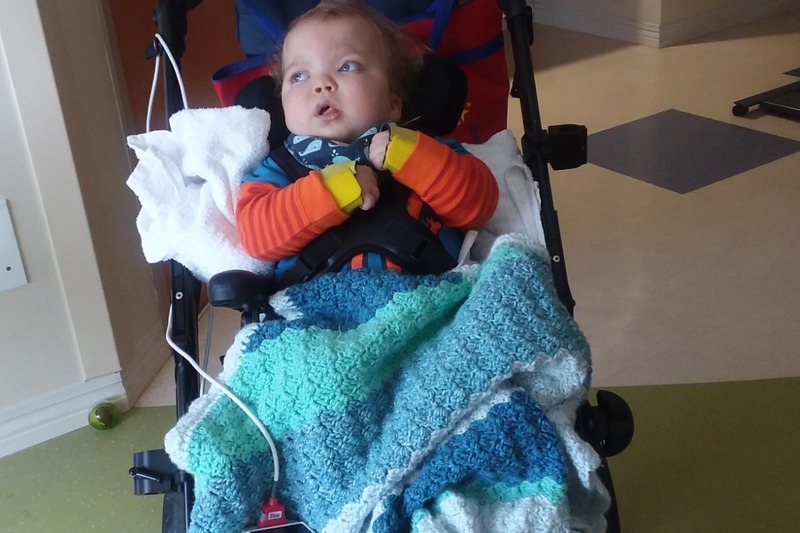 While he did well with therapy on friday, he woke from a nap miserable, in a lot of discomfort, and once again a very dry trach despite the humidifying machine. On Saturday we changed machines and saw him break up more stuck secretions. Though on Sunday his trach plugged and he went blue and emergency response came in and cleared him. Balancing the physical recovery of the cardiac arrest and managing his airway is becoming frustrating. He needs to go back to Boston for the surgeries to remove the trach but he is making progress with his therapy. I worry at some point in the next coming months he will need to go back and forth from ny to Boston and back to ny. Maybe as the weather warms up the hospital room will be less dry but for now it is very much a problem. The world is certainly changing for us as we try to give Mason the best chance at bouncing back. It's almost 1pm and Mason has worn him self out. He has had an incredible amount of therapy today. He is looking more to the right since putting his Baha on for hearing. Still no change in vision and that's okay. If he can't see, he certainly can sense our presence in other ways. He was very calm for Speech and OT. As you can see he is finally rocking his wrist splints to keep him from losing range of motion. While in the stander at about 65 degree incline his head fell forward BUT all 3 times he managed to lift it back in position only if we rubbed his deer on his face! I may have told every stranger we passed in the hall. I'm grateful to be here today to see the small steps of progress. Small but huge! Please continue to share his journey by word of mouth, email, social media, however you prefer. Give others hope! It has been over a month since Mason arrived at rehab in NY. As I have mentioned in past updates we see improvements though small and slow but we have been told since dat 1 time is what will tell us how Mason does. Since our last family team meeting we have discovered he will clearly require several more months inpatient. That pains me to write that but he is progressing from this intensive therapy and medication changes. We try to be there during the week and weekends but we really under estimated how big of a impact it would be on us financially. Life doesn't stop though neither do the bills or everything his sister's need. Spring becomes a very busy time not only for the girls but for Charlie at work. We wish there was a magic wand to make everything work out but there isn't so we appreciate your support. Even if you can't donate please share my business info or just share this. It has been 2 weeks since Mason transferred to rehab in NY. I wish I could say there has been some huge magical change over night but that is not reality. We are truly facing the reality of that time is the only thing that we have. That and hope. Mason is much calmer now so that is great. They are actively working with him several times a day and has been finally cleared to be brought into the therapy rooms when appropriate and also he can attend some time at school. It won't be the educational pre-school in the hospital but the classroom for the more medically complex for theraputic exposure. We have been trying to spend as much time there as possible but it is extremely straining. Charlie has not been able to work on weekends for several weeks and having to use personal time (thank God for an unbelievably understanding company!) more than we can afford. I am needed greatly by all my children and there have been some issues with the rehab we have had to resolve and fortunatly we were there to see things not being done correctly. Today we were able to get there early enough in the day to be there for therapy sessions, though he was in a rather grumpy mood. We took a short walk down the hall but he was over tired. Charlie will spend this weekend there till sunday night and we will head back up again during the week at some point. 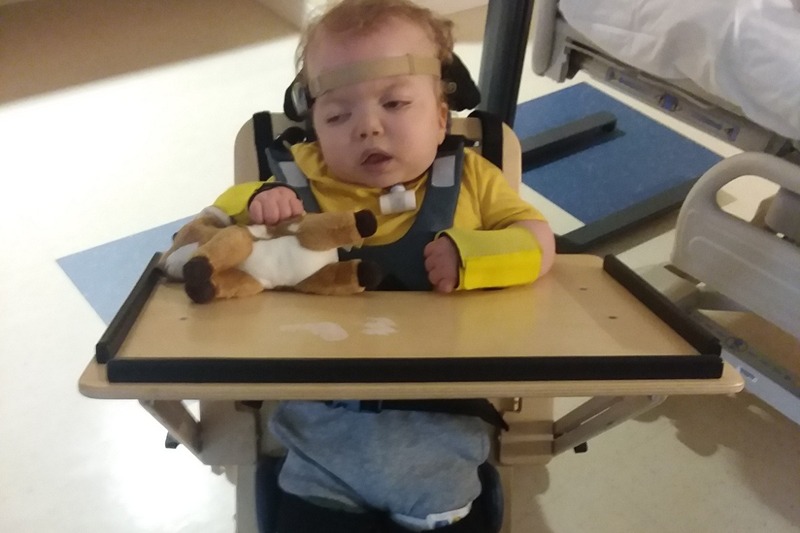 We have a parent team meeting next week and it is looking like since Mason is still passive with therapy that we are looking at a very long rehab stay. Much longer than we imagined. In one aspect we are very stressed and sad about it but on the other hand we want him to have every chance and progressing back to himself as his brain reroutes. He atleast looks much more like Mason! I try to update here as much as possible but I tend to do more so on my blog at www.TheModernBagLady.com as it is easier from my phone. Please keep praying and spreading Masons story for his battle is far from done. We often forget the many more surgeries he will have in the near future once his brain is ready. We need to all hold on to hope.